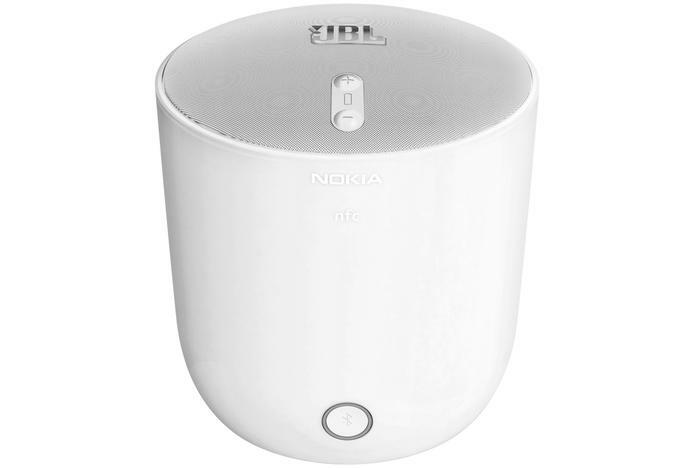 The PlayUp is a joint collaboration between Nokia and audio company JBL. 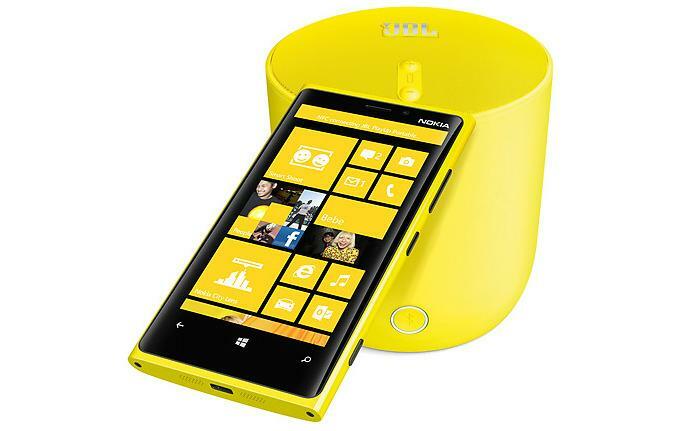 It's primarily been designed as an accessory for Nokia's Lumia 920, hence the matching bright colours. The PlayUp comes in white, black, yellow and cyan variants and its cylindrical shape makes it immediately recognisable. The PlayUp has a distinctive, cylindrical design. The distinctive design isn't just for looks, either. The plastic surface on the sides and bottom almost feels rubber-like and makes the PlayUp easy to pick up. The fit and finish of the speaker is superb, topped off by an etched JBL logo that sits on the grill at the top. We also like the removable battery, which is hidden underneath a panel at the bottom of the PlayUp. The JBL PlayUp streams sound from any Bluetooth device but has NFC connectivity built-in to speed up the pairing process. It works by tapping any NFC-equipped smartphone against the speaker, where a Bluetooth connection is instantly initiated without the need for entering a passcode. We successfully paired the PlayUp with the Lumia 920, a Google Nexus 4 and a Sony Xperia Z during testing. The PlayUp has built-in NFC capabilities. If you don't have an NFC capable smartphone, don't despair. You can pair any Bluetooth phone to the PlayUp in the traditional manner. There's also a 3.5mm audio jack at the back and a cable is included in the sales package. Sound quality is reasonably impressive considering the size of the speaker. The PlayUp produces enough sound to fill a medium sized room with no problems and bass response is impressive. There is slight distortion at near maximum volume levels but this is significantly less than most other speakers of this size that we've tested. 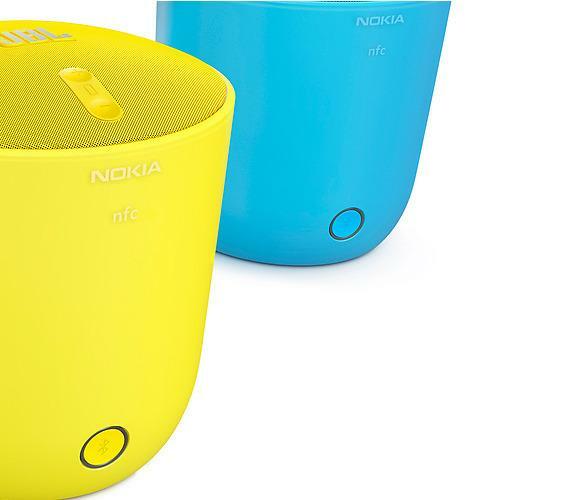 The PlayUp comes in four colours that match Nokia'a Lumia 920 smartphone. Unlike some other portable Bluetooth speakers, the PlayUp can't be used as a hands-free speakerphone. Nokia says the battery will last for up to 10 hours of continuous music playback before needing to be recharged. An AC charger is included in the sales package, which is a nice touch. The JBL PlayUp is available through selected retailers in Australia for $199.95.